MANILA- Caloocan Bishop Pablo Virgilio David was temporarily banned from Facebook on Thursday after his criticism of President Rodrigo Duterte went viral. A report by CBCP News said the prelate lost access to his Facebook account for about 2 hours after the social media giant accused him of "phishing" or fraudulently attempting to acquire sensitive information. The incident occurred after David on Wednesday slammed the President for calling him a "son of a whore" during a speech in Malabon City. As of posting time, David's account has been restored. David, a vocal critic of alleged extrajudicial killings under the administration's drug war, denied the President's allegations that he used the Church pulpit to attack Duterte. "He called me a son of a whore for allegedly attacking him from the Church pulpit—which I have never ever done. The pulpit is never for that purpose. 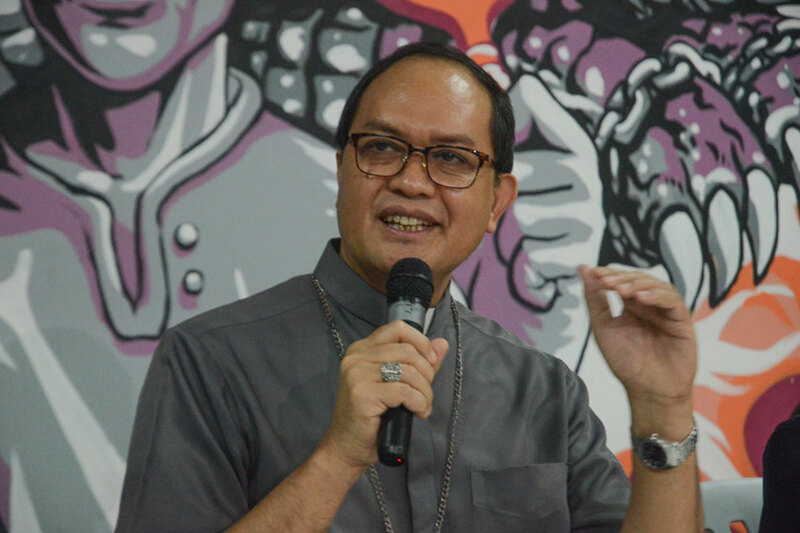 Unless, of course, he thinks that calling for an end to violence and extrajudicial killing in my diocese is tantamount to attacking him," the prelate said in his Facebook post.